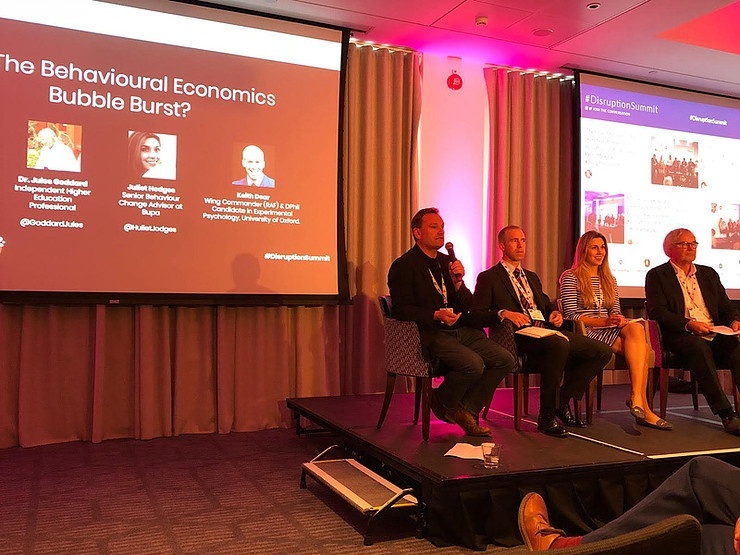 At this year’s Disruption Summit in London, Cowry’s Jez Groom chaired a panel discussion about the disruptive forces of psychology and technology with Jules Goddard of LBS, Juliet Hodges of BUPA and Wing Commander Keith Dear. Opening the discussion, Jez Groom posed the provocative question: has the Behavioural Economics bubble burst? In response, Keith Dear asserted his opinion that Behavioural Economics has barely got started. 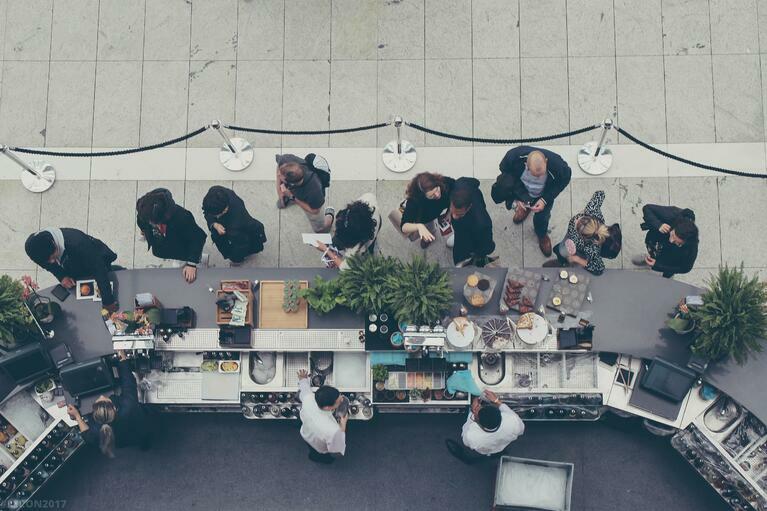 Whilst the academic field of Psychology is being undermined by the replication crisis, and despite our growing suspicion of ‘expert opinions’ after Brexit, we’re still drawn to the subject because, fundamentally, we all find it intrinsically interesting. Keith Dear then went on to posit that humans are biochemical algorithms whose behaviour can be probabilistically predicted, and that the marriage of Psychology with big data and AI will be a powerful disruptive force. Challenging Keith Dear on his position, Jules Goddard talked about the nudging food chain – who is really nudging who? For example, are the advertisers nudging the consumers, or vice versa? And who is nudging the Nudgers? And in defence of Behavioural Economics, Juliet Hodges explained how in healthcare it is being applied to help people nudge themselves. It’s concerning that technology and AI are becoming a replacement for understanding how people think and operate, she said, and why do companies seem to find approaches such as AI more appealing than Behavioural Economics? It could be that when people have a big problem, they expect a big solution. An AI approach feels like a big and complex intervention, whereas the virtue of Behavioural Economics is in its counterintuitive simplicity. It was a lively and engaging panel discussion with plenty of audience engagement, and Cowry was delighted to be part of the event this year.